Krazy Gears Interlocking Learning Blocks Only $17 Shipped! You are here: Home / Great Deals / Krazy Gears Interlocking Learning Blocks Only $17 Shipped! How about a fun and engaging alternative to all the tech games! When you sit your kids down with this 81 piece Krazy Gears set, they will become engrossed with the wonders of building. Not only will they have a ton of fun, but they will develop fine motor skills, hand-eye coordination, and problem solving abilities! 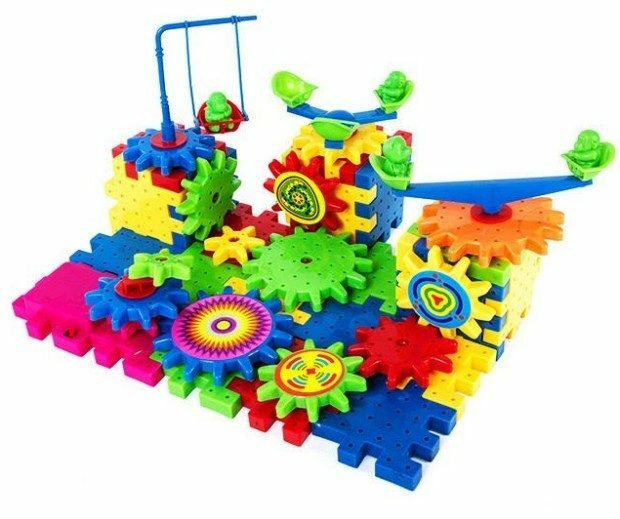 Pick up the Krazy Gears Interlocking Learning Blocks Playground Edition for Only $17 Shipped!